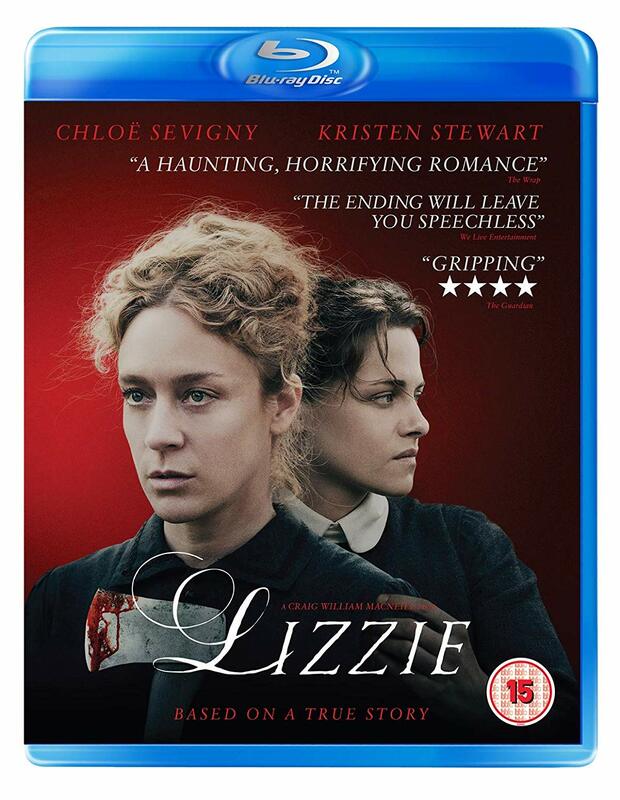 To celebrate the release of the thrilling Lizzie, we've got a copies on Blu-ray to be won. In 2017 Chloë Sevigny appeared in an excellent film with an equine theme. What was it called? 2. The prize is a copy of Lizzie on Blu-ray. We have three copies in total to give away. 5. Closing date for entries is midnight on 30/04/2019. LIZZIE is a compelling psychodrama based on the infamous 1892 axe murder of the Borden family in Fall River, Massachusetts. The film explores Lizzie Borden’s life, focusing on the period leading up to the murders and their immediate aftermath – and reveals many layers of the strange, fragile woman who stood accused of the brutal crime. As an unmarried woman of 32, and a social outcast, Lizzie (Chloë Sevigny) lives a claustrophobic life under her father’s cold and domineering control. When Bridget Sullivan (Kristen Stewart), a young maid, comes to work for the family, Lizzie finds a sympathetic, kindred spirit, and a chance intimacy that blossoms into a wicked plan, and a dark, unsettling end. Directed by Craig William Macneill and produced by Sevigny alongside Liz Destro and Naomi Despres, Lizzie is an enthralling investigation of a dark slice of history that has fascinated the world ever since – with captivating performances leading an evocative presentation of strained family relationships, an oppressive society and a secret, burgeoning romance, delivering rich slow-burn tension and emphatic, transfixing release.